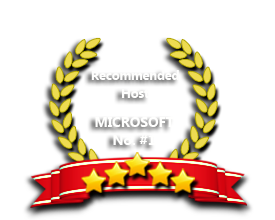 ASPHostPortal is the leading provider of Windows hosting and affordable ASP.NET WebPage 3.1. Our price starts from $4.49 per month. What is ASP.NET AJAX Control Toolkit v15.1.4 Hosting? If ASP.NET is your web development platform of choice, odds are you familiar with the open-source AJAX Control Toolkit. The ASP.NET AJAX Control Toolkit v15.1.4 is now available! The ASPHostPortal.com's ASP.NET Hosting platform is compatible with the ASP.NET AJAX Control Toolkit v15.1.4. Host Your ASP.NET AJAX Control Toolkit v15.1.4 Website with ASPHostPortal.com! The minimal specs of our servers includes Intel Xeon Dual Core Processor, RAID-10 protected hard disk space with minimum 8 GB RAM. You dont need to worry about the speed of your site. We are so confident in our hosting services we will not only provide you with a 30 days money back guarantee, but also we give you a 99.9% uptime guarantee. Our support team is extremely fast and can help you with setting up and using ASP.NET AJAX Control Toolkit v15.1.4 on your account. Our customer support will help you 24 hours a day, 7 days a week and 365 days a year.